General Relativity establishes equivalence between acceleration and gravity in the effects on time. The basic idea of the Principle of Equivalence of General Relativity is to apply same temporal effects of acceleration to gravity. This Principle of Equivalence, incorporated by GR in 1916, allowed Albert Einstein’s theories to justify the second relativity of time, independent from the one defined in Special Relativity. In other words, the effects of velocity upon time and space in Theory of Special Relativity (SR) extended to gravitational field in the General Theory of Relativity (GR). Gravity interacts with space by its deformation; this is the known geometric effect of space-time curvature. 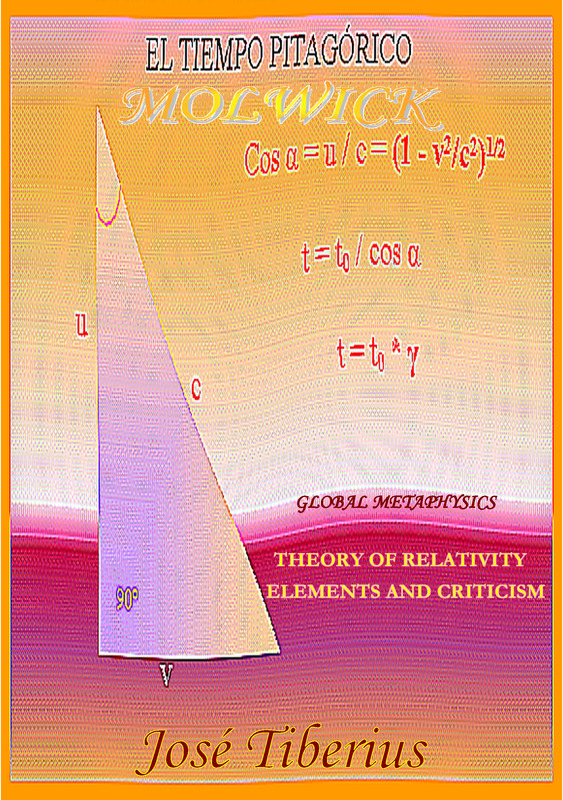 It is no longer enough to have a four-dimensional geometry of space (such as Minkowsky’s geometry in SR), it is necessary to curve the axes of this analytical geometry to measure the effect of gravity on space-time in Einstein’s theory of 1916. We get the impression that General Relativity adjusted what did not quite fit in Special Relativity. If gravity means acceleration, it was easy to imagine a particular equivalence, like thought experiment of the lift. Evidently, this second theory deals with the problems and criticisms received in the ten years that separate it from Einstein’s first theory. For example, one can always argue one is in a non-inertial system and thereby invoke Einstein’s theory of 1916. All systems are non-inertial to an extent; in many cases, either loss of precision in information assuming that it is inertial is manageable or negligible, or results coincide due to other misleading coincidences. People do not only resort to GR when an experiment has problems, but also when SR comes into insurmountable contradictions, such as in case of the twin paradox. However, many times we read the solution that relativity offers to it, we do not understand it. Why is not the Earth that suffers accelerations and decelerations instead of the spacecraft, from a purely relativistic point of view? Does General Relativity end up saying exactly the opposite to SR when it creates preferred systems of reference by gravity? We suspect it rings a bell to all of us that it is equivalent to have a constant acceleration to not moving and submitted to a gravitational field. It is the essential idea of the Principle of Equivalence and the thought experiment of the lift. However, this example of the lift would work neither for the light nor a person and a gyroscope, because none of them would suffer same gravity force. Of course, the thought experiment of the lift is just an example. Like the gyroscope! Let us note that the Principle of Equivalence is only partially correct, and only from the attraction or pushing force. For example, of movement, acceleration and gravity are not the same; an accelerated body moves and one in a gravitational field does not. From an energy point of view, we would also have to take into account equivalences between gravity and pressure. Let us think of gravity in the center of a star; in fact, it could be zero if the sum of the gravitational components canceled each other out. However other properties will not cancel. There is certain equivalence between velocity and temperature. 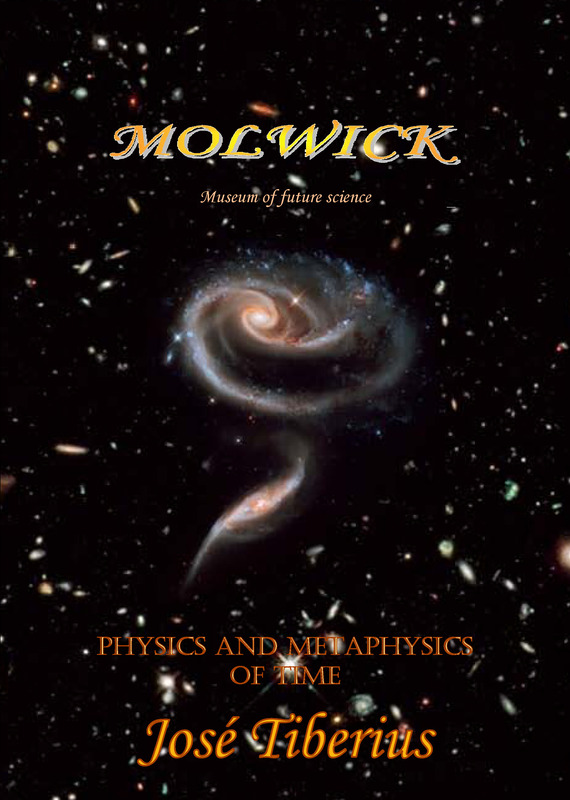 See experiment of Invisible Clock in the book Scientific Experiments in Global Physics. A negative aspect of Einstein’s theory is that incorporates principles instead of explaining the physical causes of the phenomena observed. Even worse, bearing in mind its principles; it forbids searching for particular causes or reasoning. The books Global Mechanics and Physics and Global Dynamics present a new theory of everything dealing with matter and movement. They elucidate effects from the Principle of Equivalence in Einstein’s theory in an alternative fashion, with the interrelation between the mass and the Global Aether –reticular structure of matter supporting potential gravitational energy, kinetic energy, and mass. The physical cause of time effects in SR would be variation in mass resonance caused by movement of mass through the Global Aether. For time effects of gravity in GR would be variation in mass resonance due to the variation of tension exerted by the Global Aether on mass with variations in the intensity of the gravitational field. The Principle of Equivalence presents gravity effects on mass and energy and manages to explain the predictions of General Relativity –although they are more explanations than predictions. Amongst the most famous of these are gravitational lenses, precession of the perihelion of Mercury, and gravitational redshift. The book Physics and Global Dynamics elucidates these same natural phenomena using a new physical paradigm, which does not curve time and space. Furthermore, if the new theory of everything –alternative to Einstein’s theories– explains why atomic clocks alter with velocity and gravity without dilating time, then it seems that Einstein’s theories may be incorrect. Even after so much empirical proof! In other words, it is not that General Relativity is the most successful theory, or that its approximation of reality is the simplest one, or that on occasions, this approximation has only formally achieved his goals by changing the definitions of second and meter in 1967. It is that Einstein’s theory is incorrect. 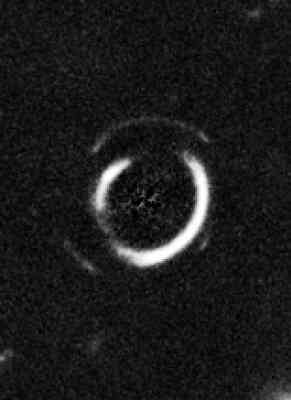 Finally, despite its formal achievements, it contains flaws that are experimentally detectable, as they are independent of the above formal conventions, such as dragging of light by a gravitational field or luminiferous aether in the new Distant Michelson-Morley experiment, proposed in the book Scientific Experiments in Global Physics. Einstein’s predictions are not strictly speaking predictions. At least, the most impressive, the precession of the perihelion of Mercury was a known natural phenomenon. Moreover, Paul Gerber discovers in 1898 the same formula Einstein used. Physicists suspected trajectory of light curved when passing close to stars; the problem was to quantify this phenomenon. Also, we imagine they knew or suspected redshift at the time. It is undeniable that Einstein had a great imagination and a unique dominance of mathematics. However, the fact that he continued along the path of the relativity of time instead of searching for more clear solutions leads us to think that he did not achieve an overall view. Besides, he might have designed his field equations ad hoc to explain curvature of light and precession of the perihelion of Mercury. The three predictions of GR deduce from its field equations, though their derivation is too complicated for purposes of this exposition. This discussion will be very superficial and will limit to the most famous parts of Einstein’s theory, without going into mathematical complexity, which characterizes GR, and all new futuristic theories based on it. Sometimes, mathematical aspects obscure logical reasoning; if we take them out and we consider them implicitly included in the reasoning, the probability of making conceptual errors will be lower. After all, they are no more than pure mathematics, and that way we avoid tensions in our brain, as we do not need to assimilate unnecessary complex concepts. The book Physics and Global Dynamics offers an alternative explanation of these predictions under a new paradigm, which maintains Euclidean geometry and absolute time, similar in precision and comparatively much simpler than GR. Albert first stated that light deviates when it passes close to massive bodies in equal proportion or angle that Newton indicated in his planet gravitation theory. Afterwards, he corrected to a value exactly double the previous one; –Meanwhile, there were several failed attempts to verify the actual deviation experimentally. The only known explanation for this change is mathematical, as it comes from the field equations of Albert’s theory. It is a shame he did not pursue the physical causes behind this behavior, as in this quantitative difference underlies one of the most remarkable keys of the new paradigm of the Global Physics. After various failed attempts –for different reasons– the solar eclipse of 1919 served to prove empirically that last predictions of Einstein’s theory in this sense were correct. This explanation is undoubtedly the brightest star in the universe: a deviation of 43'' arc seconds every 100 years in the axis of planet Mercury orbit. The General Theory of Relativity explains it with such a small error that it leaves no room for reasonable doubts about its quantitative correction. However, we would like to say that in 1898 Paul Gerber explained this precession before the relativistic physics with the same exact formula. If in this formula, we were to change the 6 for 2π, the precession of the perihelion of Mercury would give the formula proposed by Global Physics in the book Global Gravity Law. This way, we would have two contradictory theories with no room for reasonable doubts. Einstein’s General Theory of Relativity adjusts to observations because, in fact, it gives a double gravitational effect to kinetic energy using its field equations. The first one will cover the hypothetical increase in mass –note the paradox of the invariant mass–, so to keep proportionality in Newton’s gravitational law. The second one is an additional effect that instead of applying it to global mass as a gravitational force, applies via a distortion of space. Well, it could be everything is a distortion of the continuum space-time. The artificiality of Einstein’s theory is due to the impossibility of recognizing right laws of gravity, given its unconditional insistence on the principle of equality between inertial mass and gravitational mass, thereby disregarding and ignoring the material nature of physical mass. Indeed, rather than advance the understanding of characteristics of mass, the General Theory of Relativity provoked a total denaturalization of gravity force. Gravitational redshift (or blueshift) of light implies a lower (or higher) frequency –and thereby lower or higher energy– and it happens when electromagnetic waves approach or move away from the center of a gravitational field. The book Physics and Global Dynamics explains this shift and the curvature of light are both a consequence of energy exchange. One must not confuse gravitational redshift with redshift produced by relativistic Doppler Effect, due to relative velocities between transmitter and receiver, or with cosmological redshift not yet satisfactorily explained in full. Relativistic Doppler Effect has always seemed very strange to us; on the one hand, physicists usually say the speed of light is the same for all observers, and on the other, there exists a relativistic Doppler Effect or relativistic redshift. Of course, it is true that this relativistic Doppler Effect exists whether it is the transmitter or receiver of the wave in motion. Moreover, the calculi of GR offer satisfactory results. Lack of semantic meaning comes because it is not possible to take light itself as a relativistic observer. Hence, its analysis seems to have little rationale and has to resort to the familiar temporal dilations. Although relativistic Doppler Effects justifies itself at the same time as an energy exchange, it happens because of temporal dilation, instead of the correct reason –which is the energy equivalence or exchange due to the relative Euclidean motion. Although General Relativity is mathematically correct –only locally–; we should not accept such an enormous and artificial complexity plus loss of natural physical reality without searching for a more reasonable alternative in line with Ockham's razor. Making relative time and space is like destroying their natural concepts, so natural that they are in the concept of life itself, which we all have. It would be beautiful for time-travel movies, but it is practically suicidal for the scientific work of neurons. Indeed, we have two incompatible scientific theories –General Relativity and Global Physics–, which both explain the three famous predictions. The last thing I want to hear is that the best thing would be to find a midpoint, no, no, no… please, no, never! The midpoint theorem could be a reasonable proposition, but never as a scientific argument! Global Dynamics and Global Mechanics!